Wow! 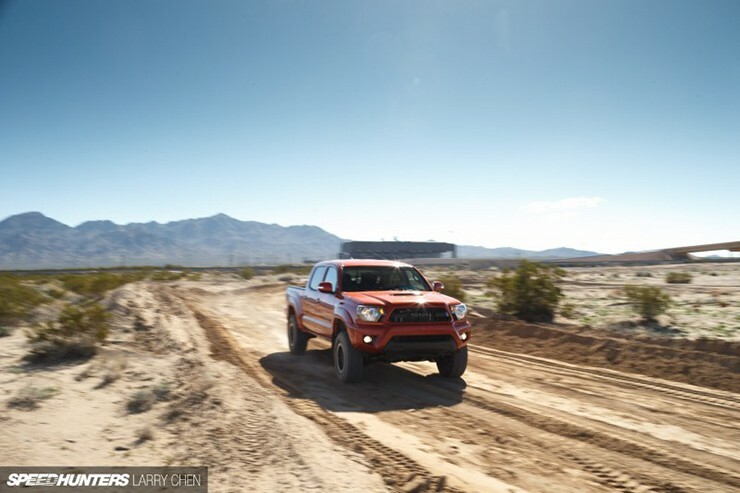 This is a great photo of the 2015 Toyota Tacoma TRD PRO in action! 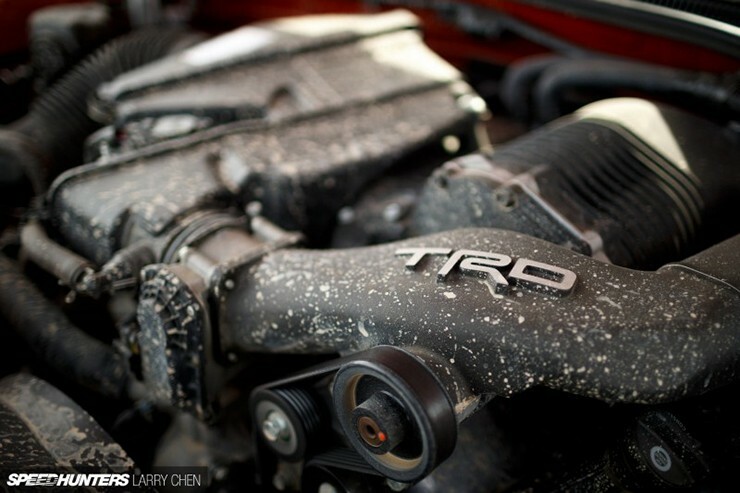 While there isn’t much to the story on Speedhunters, the photography speaks for itself. 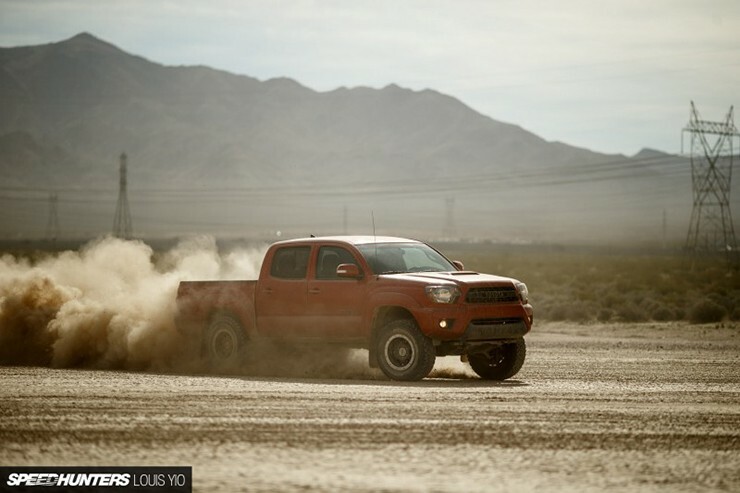 Speedhunters‘ Larry Chen describes how much fun he had being the chase vehicle during the Mint 400 and how this allowed him to really push the 2015 Toyota Tacoma TRD PRO to its limits. 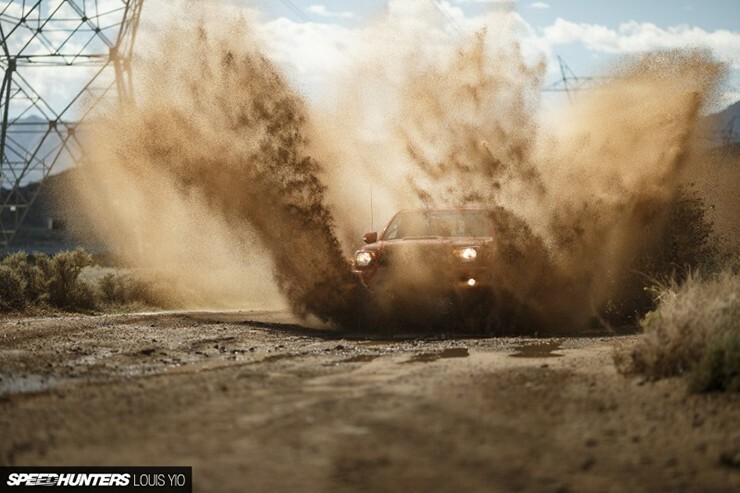 Even though, he was able to take shortcuts to keep ahead of the leader, the race speed kept him on his toes. While this story isn’t your traditional “review,” the photography and the opportunity to be part of a real race event leave us jealous. 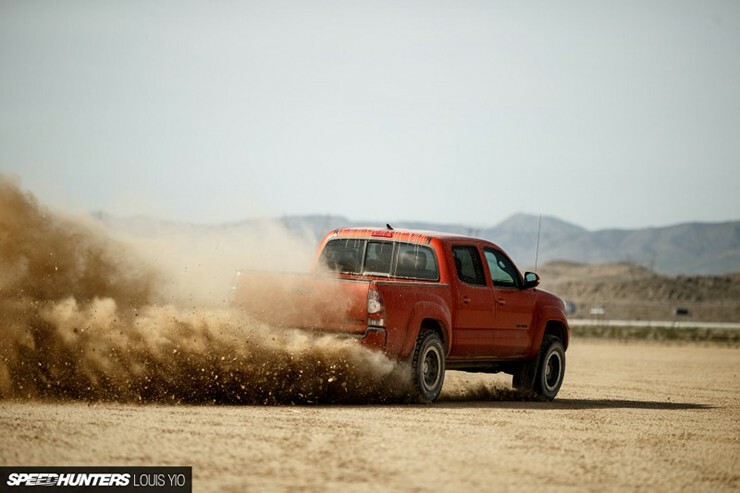 Most trucks are forward-leaning (aka have some rake). 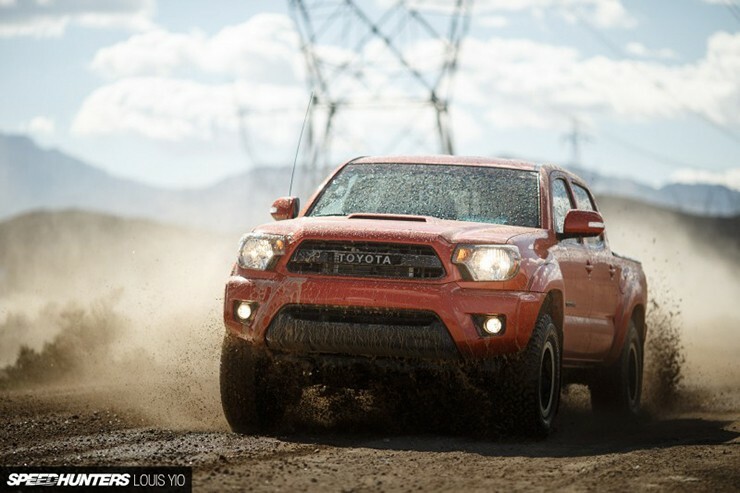 It’s not unheard of for a truck to have the opposite, but I’d look at it underneath to make sure it doesn’t already have a leveling kit installed. A small spacer kit will often create the look you’re describing.